The Union Pacific Railroad (UP), headquartered in Omaha, Nebraska, is the largest and oldest operating railroad network in the United States, and as of 2009 covers 23 states in the western two-thirds of the United States. It is an operating subsidiary of Union Pacific Corporation. James R. Young is president, CEO, and Chairman. Having access to the coal-rich Powder River Basin in Wyoming and coal fields in Illinois, Colorado, and Utah, the railroad moves more than 260 million tons of coal annually. It's one of Union Pacific's fastest-growing business areas. The company is investing millions of dollars annually to add capacity to handle coal traffic, including new locomotives, and new track main lines. UP's route map covers most of the central and western United States west of Chicago, Illinois, and New Orleans, Louisiana. As of 2009, UP operates on 32,000 miles of track, of which it owns outright 26,949 miles, both numbers representing the highest amount of any railroad currently operating in the United States. It has achieved this size as a result of purchasing a large number of other railroads, notably the Missouri Pacific, Chicago and North Western Railway, Western Pacific Railroad, Missouri-Kansas-Texas, and the Denver and Rio Grande Western Railroad (including the Southern Pacific Railroad). Currently, Union Pacific owns 26% of Ferromex while Grupo Mexico owns the remaining 74%. UP's chief railroad competitor is the BNSF Railway, purchased in 2009 by Warren Buffett's Berkshire Hathaway, which covers much of the same territory. Union Pacific was a "Trustee" level sponsor of 2011 American Legislative Exchange Council Annual Conference, which in 2010, equated to $5,000. UP was also a sponsor of the Louisiana Welcome Reception at the 2011 ALEC Annual Meeting. Among Union Pacific's freight is carrying coal from mines to power plants, including from the Powder River Basin in Wyoming, the source of about 38% of all the coal produced in the U.S. Coal shipments are estimated to make up about 20% of freight revenues enjoyed by big rail carriers, including Union Pacific. In May 2009 Union Pacific Railroad moved its 200,000th loaded coal train out of Wyoming's Southern Powder River Basin (SPRB) coal field since Union Pacific and the former Chicago & North Western completed a 107-mile rail line to the region in August 1984. The Chicago & North Western merged with Union Pacific in 1995. According to UP's website, "One rail car of coal provides the energy to generate enough electricity for more than 20 homes for a year. Union Pacific's 200,000 trains out of the SPRB have carried enough coal to power all the homes in the United States for 5 years." The combined Union Pacific/Burlington Northern Santa Fe coal train dispatching facilities at BNSF's dispatching center in Ft. Worth, Texas, have allowed the railroads' train dispatchers in the same room, instead of hundreds of miles apart, making train movements on shared track in Wyoming better coordinated. According to Union Pacific vice president and general manager Doug Glass, "SPRB coal volume has increased 11 percent annually since 1984. While demand for coal is off this year due to the recession, lower demand for metallurgical coal and reduced industrial output, we expect continued growth of this cost-effective, low sulfur coal for many years to come. Support of new power plant technologies that are capable of capturing CO2 will support continued demand for coal and help address the United States' desire to reduce greenhouse gas emissions and continue to provide cost-effective electricity to U.S. industry and consumers." It was reported that according to Union Pacific that its US export coal volume jumped to 5.2 million st in 2011, a 271.4% increase over its 2010 total of 1.4 million. In September 2010 Peabody Energy announced that "Coal's best days are ahead." Peabody stated that exports of coal from the Powder River Basin in Montana and Wyoming will be central to its expansion goals, through coal exports from northwest United States ports. In 2008, BNSF CEO Matt Rose said BNSF is talking to potential customers abroad about exporting Powder River Basin coal, particularly to Asia, and looking at the logistical challenges of exporting large quantities. BNSF and UP invested more than $4 billion to increase capacity in recent years. UP added 100 miles of railroad track in 2009, and replaced nearly 16,000 miles of track. The report goes on to note that "a coal export facility with the capacity to ship 20-30 million tons per year of Peabody Powder River Basin coal would result in the export of 35-53 million tons of CO2 per year. Exporting 140 million tons a year would produce roughly 280 million tons of CO2 per year." 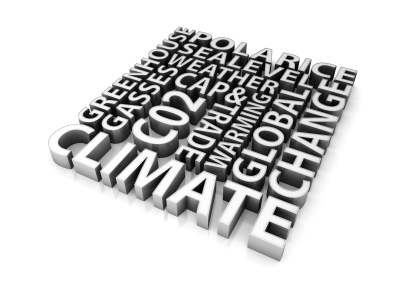 The U.S. Chamber of Commerce has been a vocal critic of climate change legislation. U.S. Chamber President Tom Donohue has been on the board of directors at Union Pacific since 1998, and paid annual retainers by Union Pacific amounting to at least $1,134,333 since 1998. Union Pacific has given $700,000 to the U.S. Chamber since 2004, as reported in the company's 2007, 2008, and 2009 proxy statements, and has spent over $3 million on lobbying activities in 2009, including efforts to oppose the American Clean Energy and Security Act. The Union Pacific Railroad was incorporated on July 1, 1862 in the wake of the Pacific Railroad Act of 1862]]. Under the guidance of its dominant stockholder Dr. Thomas Clark Durant, the namesake of the city of Durant, Iowa, the first rails were laid in Omaha, Nebraska. The Union Pacific Railroad was joined together with the Central Pacific Railroad at Promontory Summit, Utah, in 1869 hence creating the first transcontinental railroad in North America. Subsequently, UP took over three Mormon-built roads: the Utah Central Rail Road (1869-1881), extending south from Ogden, Utah, to Salt Lake City, the Utah Southern Railroad (1871–1881) extending south from Salt Lake City into the Utah Valley, and the Utah Northern Railroad extending north from Ogden into Idaho; and it built or absorbed local lines that gave it access to Denver, Colorado and to Portland, Oregon, and the Pacific Northwest. It acquired the Kansas Pacific Railroad (originally called the Union Pacific, Eastern Division, though in essence a separate railroad). It also owned narrow gauge trackage into the heart of the Colorado Rockies and a standard gauge line south from Denver across New Mexico into Texas (both parts of the Union Pacific, Denver, and Gulf Railway). UP was entangled in the Crédit Mobilier of America scandal of 1872. Its early troubles led to bankruptcy during the 1870s, the result of which was reorganization of the Union Pacific Railroad as the Union Pacific Railway on January 24, 1880, with its dominant stockholder being Jay Gould. The new company also declared bankruptcy, in 1893, but emerged on July 1, 1897, reverting to the original name, Union Pacific Railroad. Such minor changes in corporate titles were a common result of reorganization after bankruptcy among American railroads. This period saw the UP sell off some of its holdings; the Union Pacific Railway, Central Branch became the Central Branch of the Missouri Pacific Railroad and the Southern Branch was acquired by the newly-incorporated Missouri Kansas Texas Railroad in 1870. However, the UP soon recovered, and was strong enough to take control of Southern Pacific Railroad (SP) in 1901 and then was ordered in 1913 by the U.S. Supreme Court to surrender control of the same. UP also founded the Sun Valley, Idaho resort in Idaho in 1936, the UP engineering department in Omaha designed the first ski chairlift that summer. The MP and MKT both came back into the UP fold in the 1980s. In 1996, UP finally acquired SP in a transaction envisioned nearly a century earlier. The headquarters of UP has been in Omaha, Nebraska, since its inception. Currently they are housed in the Union Pacific Center, completed in 2003. In 1986 UP purchased Overnite Transportation, a fairly major less-than-truckload shipping carrier. UP divested itself of Overnite Trucking through an Initial public offering (IPO) in 2004. In the late 1980s and early 1990s, UP purchased several non-railroad companies, such as Skyway Freight Systems of Watsonville, California, and United States Pollution Control, Inc., but by 2000, following the appointment of Richard K. Davidson as CEO, it had divested itself of all non-railroad properties except for Overnite Trucking, and its holding company for logistical technology, Fenix Enterprises. The Union Pacific Corporation (not the railroad itself) was located in Bethlehem, Pennsylvania until 1997, when Richard K. Davidson announced that it was moving to Dallas, Texas in September of that year. Two years later, on the sale of Skyway and the impending divestiture of Overnite, the UP corporate headquarters moved to Omaha to join the headquarters of the railroad. Primarily concentrated west of the Mississippi River, UP directly owns and operates track in 23 U.S. states: Arizona, Arkansas, California, Colorado, Idaho, Illinois, Iowa, Kansas, Louisiana, Minnesota, Missouri, Montana, Nebraska, Nevada, New Mexico, Oklahoma, Oregon, Tennessee, Texas, Utah, Washington, Wisconsin, and Wyoming. The railroad links every major West Coast and Gulf Coast port and provides service to the east through its four major gateways in Chicago, St. Louis, Memphis, and New Orleans. UP also operates key north/south corridors and is the only railroad to serve all six major gateways to Mexico, and interchanges traffic with the Canadian rail systems. Union Pacific Railroad is the largest landholder west of the Mississippi River and is second only to the United States government in overall landholdings within the United States. The Union Pacific Coal Company was formed in 1874 as the Union Pacific Coal Department by the Union Pacific Railroad. The company was formed because Union Pacific's former coal supplier, Wyoming Coal and Mining Company, was selling coal at highly inflated costs to the railroad. Before 1874 the Union Pacific Railway owned all of the mineral rights along its right-of-way but not a mining company, thus the Wyoming Mining and Coal Company provided coal to the railroad. This was a problem for UP because the coal company's stock was owned by Oliver Ames, the Wyoming Coal Company president and five members of the board of directors for UP. Wyoming Coal was able to sell its product back to UP at highly inflated costs. The railroad's reaction was to form the Union Pacific Coal Department in 1874. After the coal company's formation it began to find ways to make money from coal mining. The company was able to stop competition by influencing the railroad to charge high shipping costs to other coal companies. The United States Secretary of Interior stated, on December 2, 1874, that UP was selling Wyoming coal in Omaha, Nebraska for US$9 per ton while they charged other coal companies $10 per ton to ship their freight. By 1890, the Union Pacific Coal Department was replaced by the Union Pacific Coal Company. The UP Coal Company was producing most of Wyoming's coal in mines located near Rock Springs, Wyoming. ↑ "Union Pacific's export coal business nearly quadruples" Darren Epps, Platts, January 17, 2011. ↑ 12.0 12.1 12.2 12.3 "Exporting Powder River Basin Coal: Risks and Costs" Western Organization of Resource Councils Report, January 2011. ↑ 17.0 17.1 17.2 17.3 ""Mining, Then and Now" Historical Mine Information, Wyoming State Geological Survey, University of Wyoming, accessed November 2009. Wikipedia also has an article on Union Pacific. This article may use content from the Wikipedia article under the terms of the GFDL. This page was last edited on 20 May 2016, at 19:58.